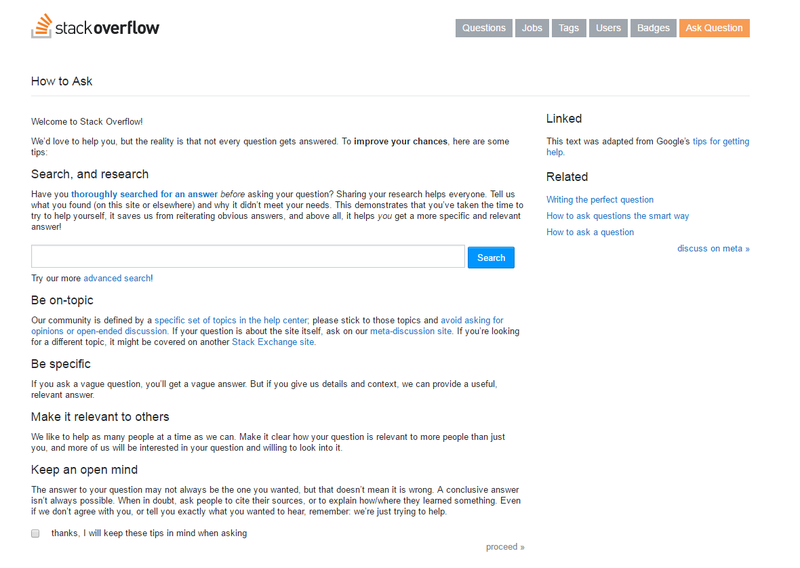 Way back in 2009, an interstitial page was added to Stack Overflow for users with less than 10 reputation when asking a question. I have a couple questions about effectiveness. How often is that search box used? gnat raises a good point that this information about Server Fault would also be useful. Could the same information, but for Server Fault, also be provided? I am attempting to answer a question over on Hardware Recommendations about adding such a page to improve our quality and guidance to new users. I am also operating on the assumption that the search bar is not preventing a lot of new questions from being closed as duplicates. Browse other questions tagged support search new-users statistics .